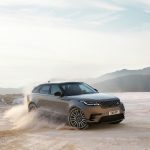 Jaguar Land Rover has unveiled the fourth model in its line-up, the Velar. So-named as a nod to the original Range Rover Classic pre-production prototypes, this will be an overtly sporting offering from Range Rover, and is said to be based on the Jaguar F-Pace. 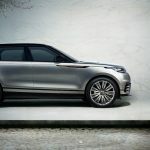 The images show very clearly that the Velar will be positioned between the Evoque and the Sport – the Range Rover line-up will therefore encompass four models: Evoque, Velar, Sport and the full-sized Range Rover. It’s a progression of the Range Rover design school of thought, wrapped in a sportier overall package. 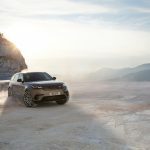 The new Velar is based on the same engineering platform as the Jaguar F-Pace, and will make extensive use of aluminium in its construction, all the better to trim fuel consumption and CO2 emissions, which start at just 142g/km. It has permanent four-wheel drive, with lashings of clever technology to keep you going in the muddy stuff, although Land Rover admits this is a road-biased SUV. 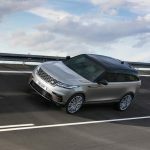 Active differentials push the drive around each axle; unlike most Land Rovers, it can even act as a rear-wheel drive car in extreme cornering. And optional air suspension raises the ride height for off-roading to clear obstacles – or lowers the car to make it easier to climb in and out. The svelte exterior is seductive enough, but step into the Velar’s sophisticated cabin and prepare to be amazed. Flush door handles appear to blend into the flanks; approach the car, plip the key and they pop out. 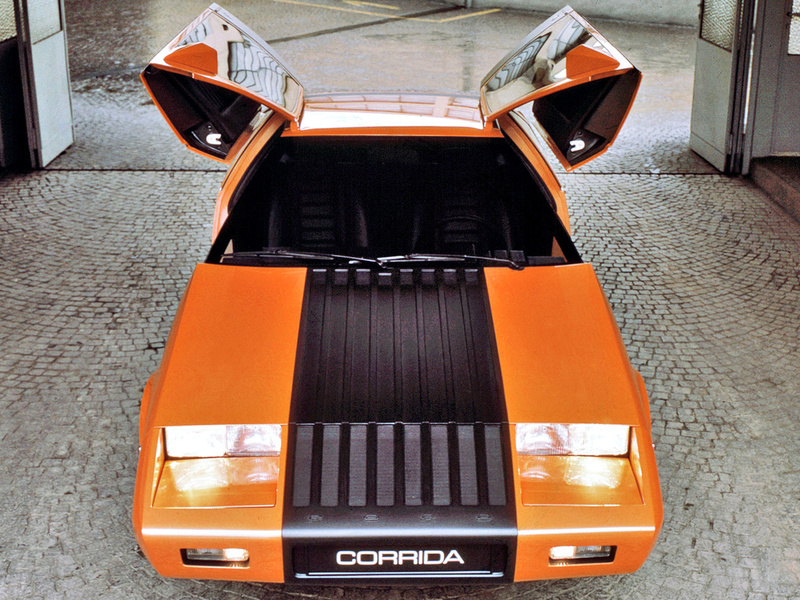 It’s concept car cool – but has a practical advantage, too. 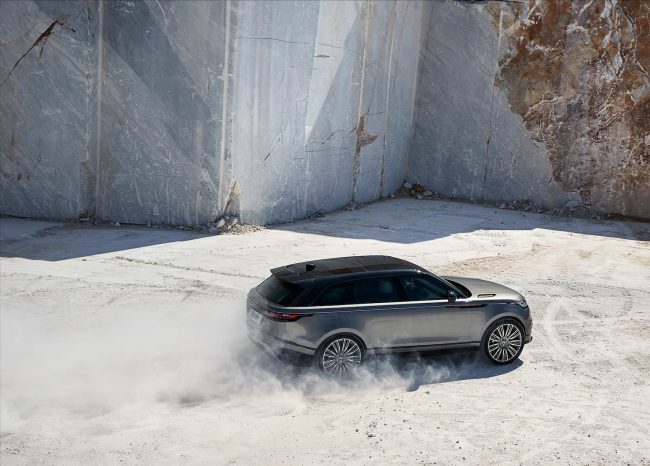 They help make the Velar more aerodynamic, cleaving the air with minimal drag to waste fuel. Once inside, it’s the most modernist interior yet conceived by Jaguar Land Rover. There are just three physical switches on the dashboard – which has become two giant touchscreens. All minor controls are replaced by these high-definition screens and on first acquaintance it looks a very well resolved system with speedy, logical menus and pin-sharp graphics. 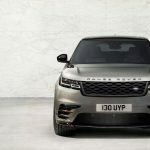 When can I buy a Range Rover Velar, and how much will it be? The order books opened on 1 March 2017 and the first customer cars are expected in dealerships by July. Prices have been confirmed at £44,830, or £408 a month on a Land Rover PCP, with a £9400 deposit and interest charged at 6.9 per cent APR. Based on all of the other LR & RR launches over the last 5 or so years, we don’t really need any more photos than these; we pretty much know what the rest of the outside and inside is going to look like. There don’t seem to be any design surprises coming out of LR anymore. On another thought, with so many crying out for news on the Defender replacement (having been out of production now for a whole year, with no indication of when we can expect any news), that they should prioritise another McGovern clone to fill the gap between the Evoque and RRS (that’s not already more than adequately filled by the DS, the F-Pace and probably the D5 Clone Rover as well) seems bizarre indeed! I’m still feeling a little sore, having spent a total of around £185,000 on new, or nearly new, Freelander 2’s and Disco 4’s since 2011 I am not an insignificant customer of theirs. However, despite multiple clone launches, they no longer build anything that would come close to parting me from my cash. I suppose you would rather have them make a product that makes no profits, and puts the brand under administration ? I really have no idea how you interpreted that from my comment! As a serious buyer of their products, I am making the point that when they make them pretty much all the same, just varying in size, they lack the diversity to please anything but a narrow band of buyers. They’ve certainly alienated me and I’m not a serial buyer of 30 year Defenders bemoaning the need for any form of electronics, so others can forget that stereotype! OK it you can certainly see its related to other LR products and that’s natural surely. But in terms of finish, equipment and technology it seems a giant leap for the brand. The first LR product I have ever lusted after. The long awaited Evoque XL. Like it or loathe it, this will most likely be a fantastic car. D5 apart Mc Govern makes attractive well proportioned designs come to life. So long as it remains fathful to its Range Rover roots then I’ve certainly not got a problem with it. Indeed, all things being equal, I’d like to trade my DS in for one in a year or so. I fall into that category where the Evoque is too small and the RRS just a bit too expensive. Petrol engines. We need more of them. Not just six cylinders but some decent four-potters..
As for Defnder, it’s clearly not a priority for JLR. They’re building what makes money. Don forget there’s supposed to be a small Disco on the stocks too. Defender fans, don’t hold your breath, and don’t expect anything like he vehicle that went before. Now, where do I sign up for one of these VELAR jobbies in Kaikora Stone? Another product for Solihull presumably, no wonder they moved the XE out to Castle Bromwich, as Solihull will now have the F-Pace, RR, RR Sport and RR Velar. Amazing to think that it in 2009 it was under threat of closure! Perhaps it could be built at Ellesmere Port. JLR’s total production is still only a little over half a million annually. BMW make more than twice that many 3 series alone each year. LR are already spreading this production thinly across 3 UK plants as well as stert ups in Brasil and China. I suspect they need to properly utilise what they have before shopping for old mothballed UK plants or GM cast offs. 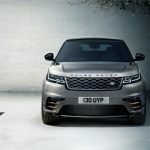 At last, the pictures are available to put out, now we have one more RR and the new Defender to preview by the year end – those that are waiting for Def’ will not be left wanting – there is so much going on at Whitely and so many new cars and additions, that the brands, all four, will be busy for the next few years. What is the fourth brand as the only ones I know of in current active service within Jaguar Land Rover are Jaguar, Land Rover and Range Rover? Aside from this, I hope there will be a stylish 2-door version available in due course. I assume the four brands are Land Rover, Discovery, Range Rover and Jaguar. Unless Jagboy has inside information, of course. 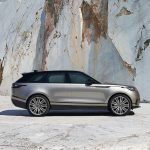 Jaguar – Land ROver – Discovery – Defender – They are the four “current” brands as RR is still under LR, once they do an internal split there will then be five, as Range ROver has the next new car launched, and a fist full of Defenders – there will also be more Discovery models as they attempt to fill each and every niche. So for those that still harp on about Rover – NO, never. Er…..Land Rover IS Rover, it’s the same company. Who do think invented the whole LR brand in the first place? So now Land Rover, Range Rover & Rover including the Solihull factory have all been bought back together again. We can deduce from that, the Rover brand as such is NOT dead, other wise it would be just Land….and Range…. Four “currant” brands, like i said – once the Defender makes its debut later this year, and it them becomes for sale there will be five – and none of those will include Rover which is not returning, ever…..
Clearly a Rover relaunch is on the cards. 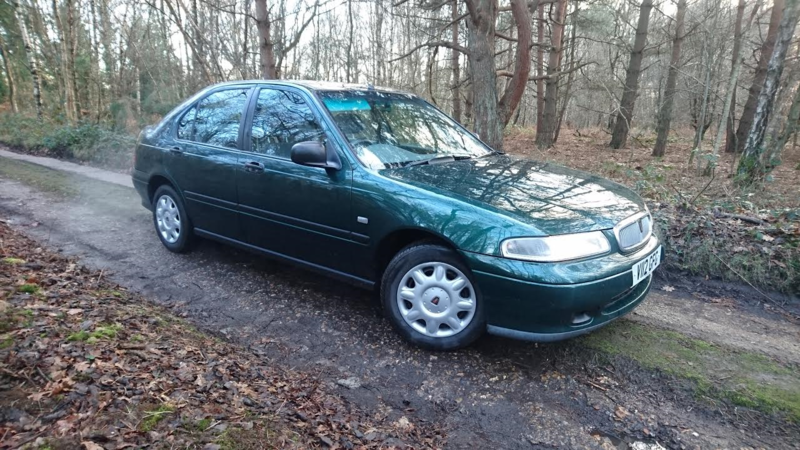 Complete with a bootfull of head gaskets and an oil stain alike mat for the drive. NO, JLR have stated it enough times that ROver will NOT be coming back anytime soon, mid term or later, they have Jaguar, they do not need another brand, and they do not have the money to relaunch a mass market brand, which is estimated at a full world launch of between £20-£40 Billion – the brands that they have are – Range Rover – Land ROver – Discovery – Defender – Jaguar…. HOWEVER – there might be, just might be a Daimler relaunch based on a stretched XJL platform, but as others have that market sewn up, dont bet on it, but lastly – ROVER – Gone, but not forgotten and not coming back. Why not be more positive? 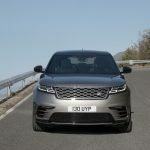 M.
I apologise in advance that my comments are digressing from the core theme of the Range Rover Velar, as it relates to the gathering debate about the return/no return of the Rover brand. Obviously they are not intended to offend anyone or add further fuel to the fire. Firstly, I have previously corresponded with a number of senior managers within Jaguar Land Rover (JLR) about the Rover marque over the years, including with Herr Speth, and none of them have ever said to me “no it will never return”. Instead the official line has been “we are currently occupied with our brands of Jaguar, Land Rover and Range Rover and the product actions that will help underpin them.” Read into this what you will. Reading through press releases and other articles and again, there has never been an official quote from JLR that “the Rover brand will never return”. Therefore I don’t know where this information is coming from. I.e. how reliable is the source? 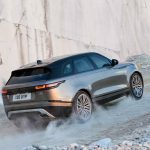 If I was an employee of JLR or a trusted component supplier, I wouldn’t potentially be putting my job and reputation on the line by publicly divulging what could be considered as commercially sensitive information relating to a legacy marque, let alone forthcoming new products. Unless, of course, it has already been reported in the motoring press, although often even some of the best placed magazines get it wrong. In reality I personally don’t expect to see the Rover cars name back in the short or medium term, and possibly not even in the long term, although I am happy to be proved wrong. 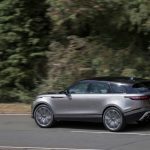 I have doubts on whether JLR would be able to deliver the commitment and resources such a relaunch would undoubtedly command. 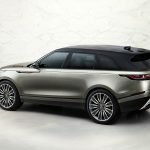 So can we please stop this cross-trading of what ultimately is just ‘speculation’ of this once proud name and instead concentrate on what an interesting new product the Range Rover Velar is and how, in my eyes, it is much better looking than the Discovery 5. I hope the Velar sells well and the colour range will soon be expanded to include some bolder shades and a dark shade of blue. Fingers crossed too for less chintzy grille treatments to follow in due course. I couldn’t agree more. Well said. I wish they offered dark green. Re: the Defender. What’s the betting that when it emerges it will be spot on and a sales success but that die hard Defender fans will hate it and dismiss it as a load of rubbish? Much as I love the Defender – I’ve spent time in them all over the world – it was an under developed archaic bit of kit. I doubt we’d be having this discussion about the new Defender if the 90 and 110 had gone out of production in 1990 to be replaced by something based of the Discovery, and subsequent discovery incarnations. The other trick Land Rover missed was the boom in Japanese crew cab pick-ups. Everyone from Coastguards to local builders has one now. Was this a conscious decision? Was it complacency? Was it an oversight? I anticipate the new Defender will come with the Mc Govern corporate look, maybe with a bit more black chunky plastic add-ons. It will primarily appeal to “fun” outdoors types. It’ll be a good car, but I doubt Farmer Giles and Shep will even get a look in unless JLR recognise that market and believe they can make a few quid out of it. The fact is JLR know there are thousands like me who keep buying their products because they need an estate car, but want a SUV with a green or black oval on it. Dear, oh dear, oh dear. JLR have finally jumped the shark. Firstly it’s sacreligious to use the Velar name, and secondly do we really need another RR in the shape of an Evoque on steroids ? What’s next in the line-up, a mini Evoque clone ? No they havn’t. There is a huge Porsche Macan/Audi Q5/DMW X6 profitable hole in the market for a car like this. Land Rover would be negligent if they didn’t build this car. As for the cheap and unimaginative Evoque on steroids jibe. Couldn’t you say that about every manufacturer who makes a car larger than the smaller one in their range! Never new about the Alvis/Rover badge – what a great infonugget! reading a while back, that would be a shame. The classic Jaguar engine was always a straight 6 anyway! 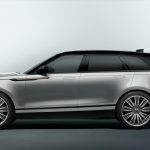 Range Rover is now becoming a full range of cars, not just one luxury SUV, and I welcome this as it means the brand can reach as many potential buyers as possible. Also you have Jaguar doing well in the premium saloon marker, as well as having a successful SUV of their own, and this all means a great British success. Remember, I’m old enough to remember when all Jaguar and Land Rover meant were the faltering XJS and Series 2 XJs and off roaders that only appealed to farmers. 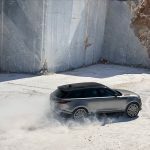 I guess the Velar is a quick win for JLR, as it is a reskin of the F-Pace with a few goodies to improve off-road performance. It fills the gap between the Evoke and the RRS and will no-doubt make a good profit. It will also help the UK’s balance of payments and generate ‘real jobs’ in the Midlands. We currently own a 20 year old Defender. I can’t see a need to replace this anytime soon as long as JLR keep a good supply of spares. It is noisy, slow and uncomfortable compared with a modern car, but none of this matters when it’s towing a sheep trailer a few miles or pulling a harrow around a field. Sorry, but they don’t make four models of Range Rover. They make one Range Rover and three other cars that have Range Rover badges on them. There are only four words that should ever come after “Range Rover” – ‘Sport’, ‘Ewok’ and ‘Velar’ are not three of them. Oh christ, I’ve turned into a hideous Range Rover snob haven’t I….?! Have you driven a current model Range Rover? While I haven’t tried a Velar yet, I have driven the Epoke and Sport “Range Rover tribute acts” and they’re actually more similar to the, surprisingly car like, current model Full Fat Range Rover than most people might expect. Yes, I drove a Range Rover Sport last year and was really impressed with it. Good performance, handled well and the interior was a very nice place to be. In fact it only had one problem as far as I was concerned – it simply didn’t ‘feel’ like a Range Rover! Actually, what I meant is that the current Full Fat Range Rover doesn’t feel that much different to things like the RRS. It’s very nice, don’t get me wrong, but it really didn’t feel anything like as different as I’d hoped. The full details are appearing on the website now. You can go ahead and order one. It looks pretty good – although it looks like a Sport that’s shrunk in the wash. The interior looks great – this is obviously a glimpse into the future of RR dashboards. 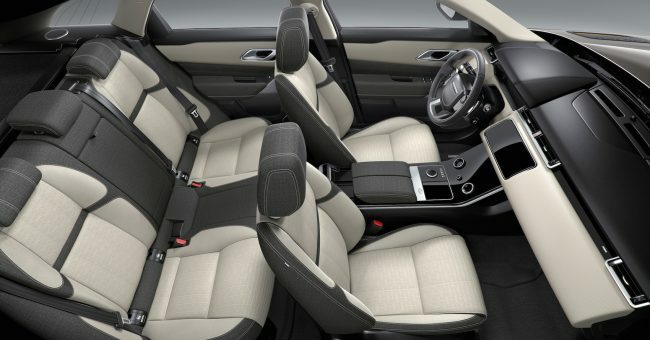 However even the cheapest is still £44k and has what is described as ‘Luxtec’ seats – i.e. vinyl. Why is it manufacturers are eschewing cloth for this ghastly material? Fine if you want to work for Uber, but in a car costing the best part of £50k it’s insulting. On the used market the dealers will be peddling this stuff as real leather. Luxtec seats for the Vegan market one assumes. I remember looking at a new E Class in 2011 and being told that their “artificial leather” in their entry level car was “indistinguishable” from leather – not a chance!! I can understand Mercedes equipping their “Taxi spec” scumbag version with vinyl seats, but fitting them to a £44,000 car that will be used neither as a taxi, nor as a working car, does seem perverse! My wife had a 2008 C-Class in ‘SE’ trim as a company car and there was no option of real leather, only the fake stuff, so she reluctantly went for it. Four years later when she changed the car, the interior looked like new and, strangely, still smelled like leather! Even better, the interior was light grey and there was a lot to be said for simply attacking any marks and stains with Cif – you can’t do that with real leather! Well, although I aspired to really like the Evoque, and have settled on a sort-of ambivalence (that is, recognising its importance in the range but not quite coming to terms with its ‘hot rod’ proportions- especially the very low roofline), I’m more hopeful for the Velar. If it can truly take the fight to the reportedly excellent Macan, then it could be a winner. I’ve had a chance to play in the configuration and 44k doesn’t buy you much Velar. I appreciate there has to be a distinction between ranges but I’m really wondering if the Velar has what it takes to get me out of my Discovery Sport. 44K buys me a very nicely equipped Discovery Sport. I could be wrong but the F-Pace looks like more car for the money. just seen it fully what a beaut – best looking range rover yet! My god a positive person – here of all places! This is a great looking 4×4 and especially compared to some of the competition out there. Only downsides for me is unlikely to afford one even at 44k for the entry level but clearly will sell like hot cakes as a big market for these today. Great to see the success of this and JLR deserve it, it’s taken a long time but really on a roll. I guess Jaguar will be introducing a lot of the same interior tech as do feel Land Rover is way ahead at the moment, as much as I like Jaguar. Has anyone been on the website configurator yet? And I thought the German Marques were masters of option prices but they can clearly learn from JLR. £44k for thei diesel but if you want to the 2.0 petrol turbo its straight to £52k, ridiculous – on BMW you can generally get most engines in each trim level. The much PR’d sustainable alternative to leather trim is £4K. LED headlights are standard but a ridiculous £700 to have a different version – love the design but they’re clearly only showing the full fat £85 launch edition. At this price you get a full fat RR. What a contrast with the original Vogue story feature from 1981. It moves the the LR/RR design language on. It fits a profitable segment that LR currently doesn’t have a RR. It will generate profits for Jaguar Land Rover, protecting and increasing UK jobs and will enable more JLR models to be made. 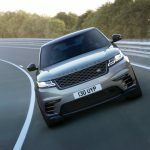 An interesting article on the Top Gear website explaining the differences between the F-pace and Velar. They can’t…..Daimler went back to the Germans. Kev, have you a source for that? So as far as I can see, Tata tomorrow could sell an XJ based Daimler, though not in the US. Source? 12 years at Jaguar SVO, in the old limo shop. Jaguar hasn’t been able to sell ‘Daimler’ badged cars in the US for many years. When Ford sold off the Daimler name rights to Mercedes in 2007, it effectively stopped Jaguar ever using the badge on a car again…..why would they wish to sell a car advertising one of their closest rivals? The Germans got back the family silver, without paying full price for it (as they would have, if they used the name on cars). Thus, to all intent and purpose, Jaguar can’t use the Daimler badge on any product. Wish them all success, the full fat Range Rover is one of the few SUVs that gets my respect. Truth be told I find the range a little confusing. They introduced the Sport, which was a ‘baby’ Rangie, all the ability but slightly smaller and slightly cheaper. Then Evoque which was the small ‘stylish’ Rangie. But now the Velar which is both small and stylish?